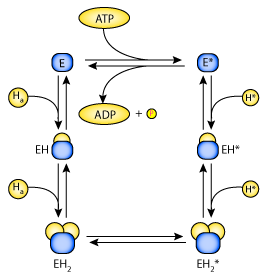 This CellML model is a description of Chang and Fujita's 2001 mathematical model of a H-ATPase in the distal tubule of the rat: it is one component of an overall model of acid/base transport in a distal tubule. 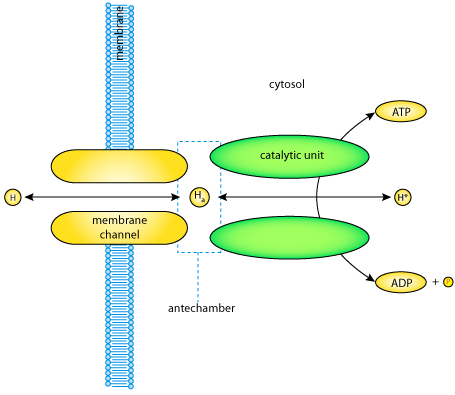 A numerical model of acid-base transport in rat distal tubule, Hangil Chang and Toshiro Fujita, 2001, American Journal of Physiology, 281, F222-F243. PubMed ID: 11457714. Derived from workspace Chang, Fujita, 2001 at changeset cda1fbaf6cbf.